There are certain events I make a point of participating in each and every year, traditions that I have grown to really anticipate. Often we need that light at the end of a tunnel, that future date on the calendar that we stare at with longingness and eager excitement as we move through sometimes frenzied work weeks or days that we really just want to end even before they’ve truly begun. 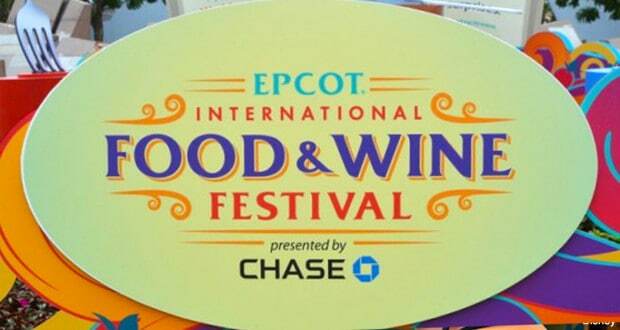 For me, the countdown to Epcot’s International Food and Wine Festival begins just as the previous one ends. It’s an annual event that I crave—literally and figuratively—and my excitement mounts as each day brings us closer to this widely loved Disney experience. If you’ve never been or aren’t aware of the specifics, the International Food and Wine Festival held at Epcot is a culinary adventure that is so much more than just sampling cuisines and beverages from around the world—it’s also a celebration of all things food-related whether it’s highlighting the regions ingredients originate from or the unconventional chefs that create masterpieces in the kitchen. There are culinary demonstrations and mixology seminars, as well as dynamic entertainment and celebrity personalities. This special event runs from September 25th through November 16th and is included in your regular Epcot park-day admission. Let’s take a glance at some of the amazing experiences found within this year’s festival as it celebrates its 20th year. These top 10 festival experiences are certain to whet your appetite for the fall food event. Culinary demonstrations take place each year at the Festival Welcome Center, and are open to all park guests for a small fee. These take place at 1, 3, and 5pm daily, and the cost for each demonstration is $15 per person (additional discounts available for Tables in Wonderland members, Annual Passholders, Disney Vacation Club Members, and Golden Oak Residents). The list of demonstrations is wide-ranging, each instructional presentation hosted by a celebrated and skilled chef and highlighting a specific culinary skill or cuisine. You’ll come away from these presentations with new insights and a greater culinary aptitude. During each 45-minute demonstration guests will be able to indulge in various samples provided by the chef hosting it. The spots in these instructional demonstrations fill up quickly, so advanced reservations are highly recommended. Who doesn’t love a delicious, juicy burger with all the fixings?! At this all-new event taking place from 7-9:00 pm on September 25, October 8 and November 6 you will have the opportunity to enjoy some blockbuster burgers as you nosh on unique specialty sliders prepared by Disney Chefs and sip on an array of beverages sure to enhance your tasting experience. As you sample your way through the burgers and drinks, you’ll listen to the event DJ spinning music from recording artists who have left their mark on the world of potables (i.e. Dave Mathews and Dreaming Tree Wines/Carlos Santana and Casa Noble Tequila, etc.) and serve as the inspiration for the food and drinks found here. The cast of The Chew will be hosting the event on October 8th. Featuring over 50 food, beer, and wine tasting stations, this exclusive event will immerse you in a world of dazzling sights, invigorating sounds, intoxicating scents and tantalizing tastes. Entry into the event includes reserved seating to the Eat to the Beat Concert Series. After the concert comes to an end, the party is just beginning here as you roam the grounds, sampling delicious eats and drinks, all-the-while enjoying awe-inspiring entertainment from the colorful acrobats performing inside. This returning event is held every Saturday in October during the festival’s run from 7-9:30pm at the World ShowPlase Events Pavilion. Advanced reservations to this private event are highly recommended and include three separate pricing categories for which to enjoy the party. This daytime talk show with its Emmy Award-winning hosts is coming to the festival to dish out food tips and tricks as they broadcast their show during this year’s event. The lifestyle series is set to tape five shows before an Epcot audience on October 7-9, with the shows airing October 12-16. The hosts will also be taping segments for their show throughout all of the Walt Disney World Resort, so keep your eyes peeled if you’ll be in and around Disney during this time! The Chew isn’t limiting its presence to the live broadcast either—this popular show’s influence will also be featured in two new Marketplace Kiosks this year (“The Chew Lab” and “Sustainable Chew”). This 2-hour, all new interactive event promises to get you into culinary shape fast with basic beverage training to sharpen your abilities in the world of libations. There are two Beverage Boot Camps to choose from, including “Exploring Wines from 1996” on September 27th and “I’ll Take Manhattans: History and Origins of Aromatic Bitters” on October 18th. Both Boot Camps are hosted by prestigious experts and will take place from 1:00pm-3:00pm. Entry into the boot camp will require an advanced reservation. Contact Disney Reservations at (407) 939-3378 to book a spot. Each year celebrity chefs grace the festival with their expertise, enabling guests the rare and coveted opportunity to see their magnificent skills in action during various culinary demonstrations and dining events. This star-studded celebration will include favorites like Cat Cora, Robert Irvine, Jamie Deen, Buddy Valastro and Andrew Zimmern to name a few. Don’t miss this opportunity to rub elbows with your favorite food TV personality or renowned chef! Also new to the festival this year is a family friendly scavenger hunt centered on our favorite little kitchen vermin, Remy, who also just happens to be a master at culinary ventures. Guests will be able to purchase a scavenger hunt kit—including a map and stickers—at various locations throughout Epcot. Once you have your map, let it guide you on a hunt for hidden statuettes of Remy strategically placed around the Park. Record your discoveries as you help Remy find each ingredient in his beloved ratatouille with the corresponding stickers. At the end of the scavenger hunt, prizes in the form of specialty collectible Ratatouille pins are awarded to the guests who’ve completed each task. Throughout the course of the Food and Wine Festival, popular musical artists from the 70s, 80s, 90s, and today take the stage and perform their hits while you savor your Marketplace food and drink favorites. The Eat to the Beat Concert Series takes place nightly at the American Gardens Theatre at 5:30 pm, 6:45 pm and 8 pm and is included with your general park admission. This year’s line-up includes bands and solo artists like Wilson Philips, David Cook, Boyz II Men, Chaka Kahn, Hanson, and Tiffany. Experiencing live performances of old hits from memorable artists is a fun addition to your Marketplace Kiosk food and drink explorations. Truly, this is THE reason to attend the festival. Having the opportunity to delight in global cuisine and beverages within the pristine setting of the World Showcase in an experience every person should jump on as it is one that promises lasting memories. Whether you come during the day or night (or both! ), the World Showcase will offer you a cornucopia of cuisines and drinks as you make your way to more than 30 unique Marketplace Kiosks. The festival offers returning favorites like Canada’s Cheddar Cheese Soup as well as new plates like the Pepper Bacon Mac ‘n Cheese at the Farm Fresh Marketplace. From tasty appetizers to hearty entrees to indulgent desserts, as well as libations crafted from expert brewers and master wine makers, each kiosk selection offers a unique and powerful flavor experience. Don’t forget to pick up your complimentary 2015 Marketplace Passport to have stamped at each kiosk as you take on this fantastic food journey!